Host Interface and API | E2M Technologies B.V. The Host Interface API is the Application Programmers Interface (API) which E2M Delivers to its customers to simplify the development of an Ethernet UDP based software interface between the Host simulation application and the E2M real-time controller. 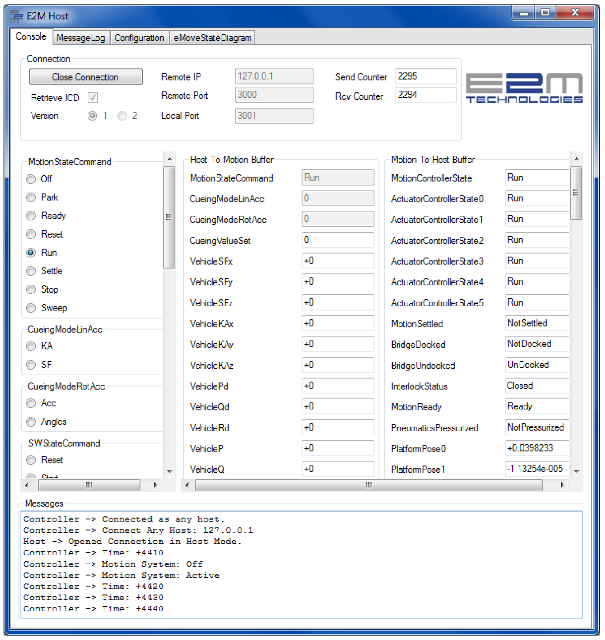 A pre-processor which generates the C++ source code of the API using the configuration files of the E2M real-time controller. A demo application which uses the API which demonstrates the main functions of the interface.